Almost two years after her father’s passing, Nicole Meyer Royster still has a hard time putting into words the level of care her father, Fred Meyer, received at Transitions LifeCare during his last six days on Earth — and what it meant to her and her mother, Marty. After being diagnosed with liver cancer in May 2016 and spending two “horrible” months in the hospital, he was referred to the nonprofit hospice facility in Wake County. 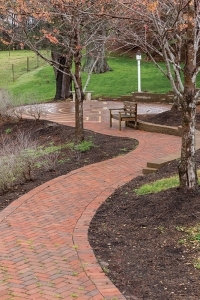 Open to the public, the gardens at Transitions LifeCare were created as a serene place for contemplation and healing. 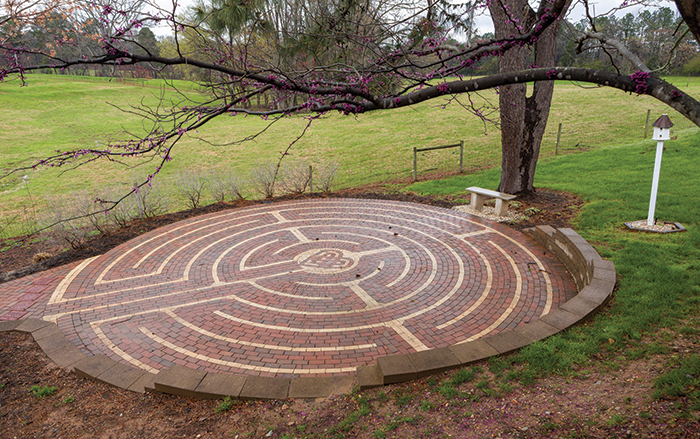 The labyrinth, located down the hill behind the sanctuary, is a focal point in the outdoor space. 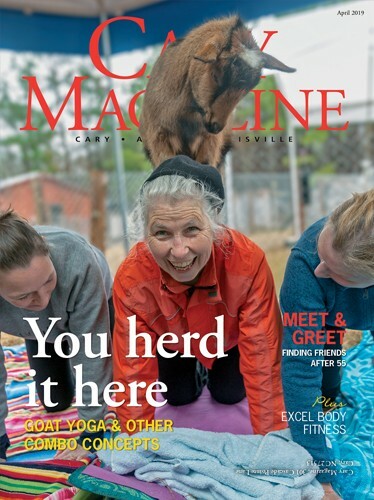 The 45-year-old Raleigh native describes how feelings of chaos and stress were immediately replaced with feelings of comfort and peace. Seemingly small touches made a big impact: a gift basket waiting when they arrived, nurses who invited her mother to help bathe her dad with gentle care and dignity, and the tradition of staff and families lining the halls in silence when a deceased patient is taken from the facility. Transitions LifeCare CEO John Thoma receives powerful testimonies like that every day. The voicemails, emails, thank-you cards and donations are resounding validations of the work done and the dream realized through the construction of Wake County’s first hospice facility. “Our organization was founded because of this community. Folks have been so caring and generous with their support. I am blessed every day. I learn so much from the strength and dignity and the joy of life we experience through those we serve,” he said. In the 27 years Thoma has worked with the organization, he has presided over tremendous growth in the number of people served, the services provided and the physical facility. 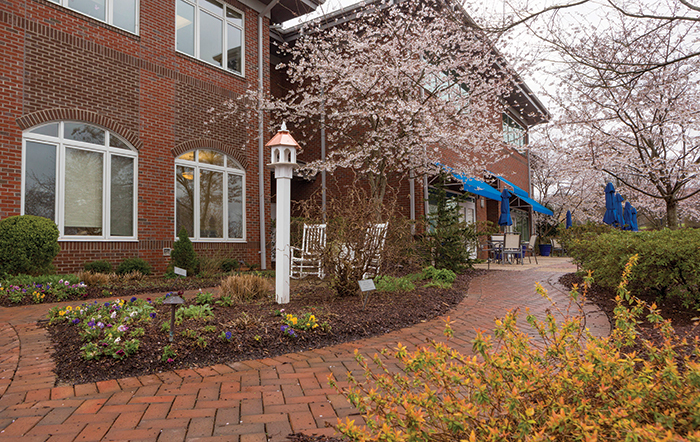 Situated on nine acres off Trinity Road near the Cary/Raleigh line, the three-building campus (a grief center, a sanctuary and a hospice home) enjoys a convenient urban location in a pastoral setting. A 20-room facility with all the comforts of home opened in 2010, but there was a waiting list by 2014. A 10-room expansion, with two rooms for bariatric patients and four rooms equipped with technology to keep dementia patients from wandering, opened late last year. 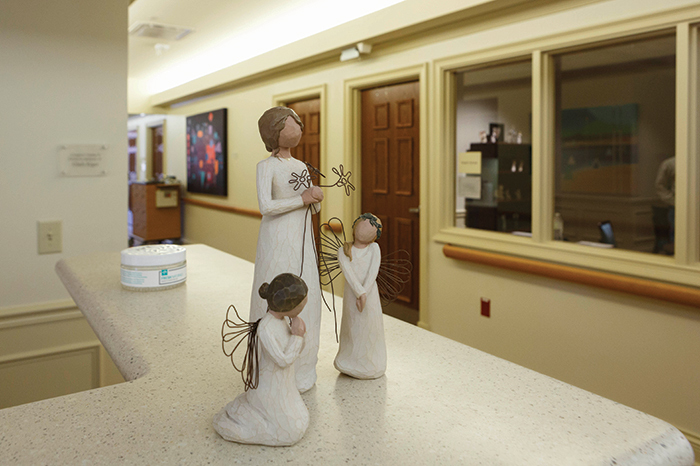 Patients of all ages can receive hospice services either at home, in a facility or in one of the 30 rooms on campus. Last year, 7,000 patients were served — 1,000 of those in the hospice home. 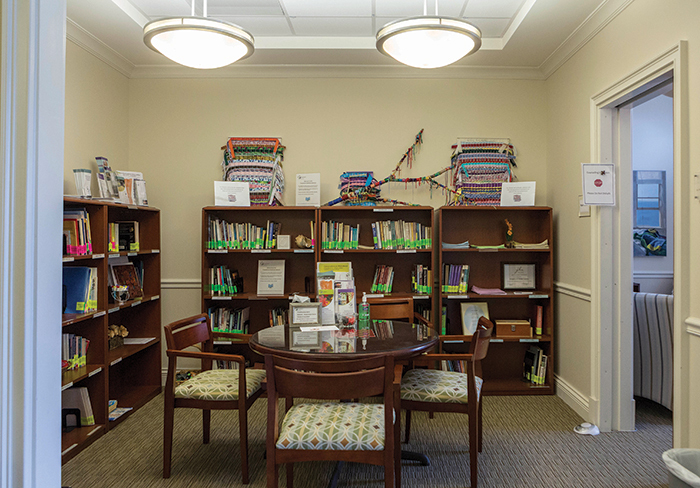 The Kit Boney Grief Center houses a lending library that is open to anyone in the community. The adult and children’s books serve as resources for various types of grief. Thoma expects there will be a waiting list in three years or less due to rapid growth in the seven counties the nonprofit serves — Wake, Durham, Franklin, Chatham, Harnett, Johnston and Orange. To keep up with the growth, he anticipates adding two hospice teams and two palliative care teams in the next two years. In addition, Transitions LifeCare has built a reputation as a great resource for both counseling and education. 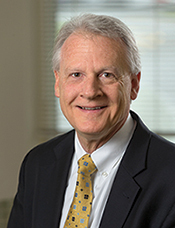 Thoma made the conscious pivot in 2002 to emphasize being a professional resource in addition to providing care to seriously ill or dying patients. On any given day you will find professionals receiving continuing education in the grief center or members of the public attending workshops on end-of-life planning or grief. The nonprofit added 10 rooms last year to care for hospice patients, bringing the number of rooms to 30. Last year roughly 1,000 patients were served at the hospice home, and another 6,000 were served in their homes or at another facility. Thoma is especially proud that every town and municipality in Wake County contributed to building the campus, as well as every level of government. 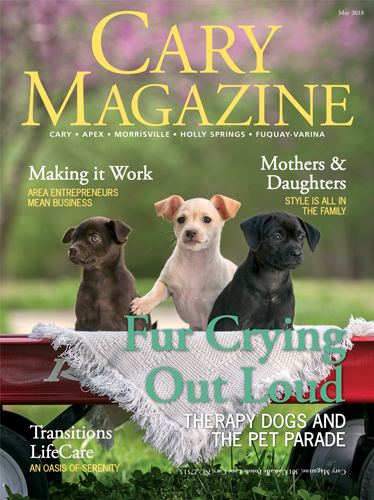 The Town of Cary funds an annual grant for a home-based palliative care program. These contributions, large and small, carry great weight for Thoma. A labyrinth is an ancient symbol that represents wholeness. It combines the imagery of the circle and the spiral into a meandering but purposeful path. Labyrinths occur in all cultures and have long been used as tools for meditation, centering and healing. 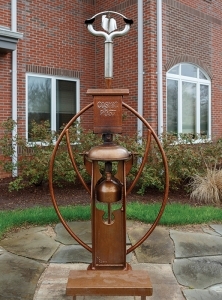 The Cosmic Post, located in the Grief Center Garden, was designed and created by Carrboro sculptor Mike Roig and made possible by a grant from the Cary Community Foundation. This donor support was one of the first things Royster noticed when she arrived at the hospice facility. Names were everywhere — from the gardens, benches and bricks to the buildings, offices and art pieces. While in the hospital with her father, Royster was thinking she needed to do more charitable giving, but to whom? The answer became clear after she experienced Transitions LifeCare. Now, her support allows others to experience the comfort and peace she did. “It is an amazing place, an amazing experience. I totally trust hospice,” she said.